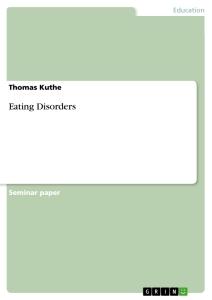 Over the past few decades of research and practice on eating disorders, there has been a severe lack of focus on the prevalence of these disorders among male populations. Given that an estimated 25-40% of males suffer from eating disorders, it is important for research and practice to adopt a nuanced understanding of how and why males are affected by these disorders. 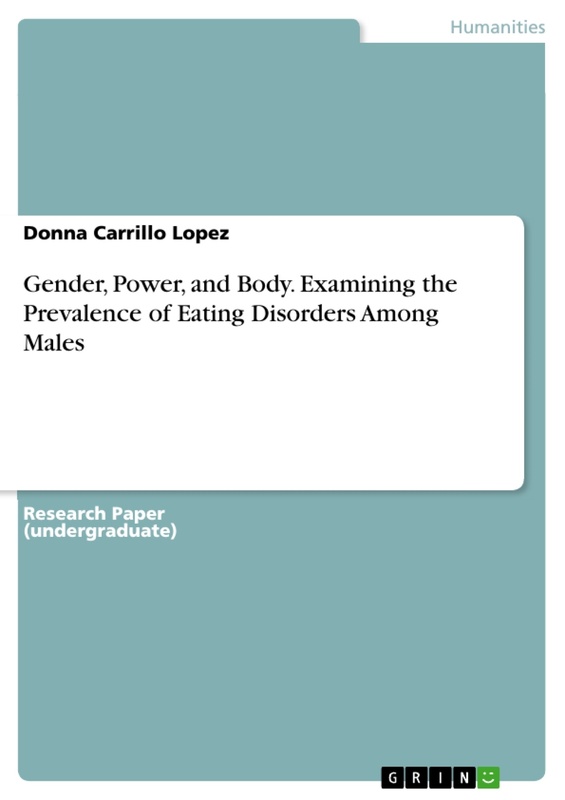 This paper provides an analytical lens for understanding the influence of gender and power dynamics in the occurrence of eating disorders among males. 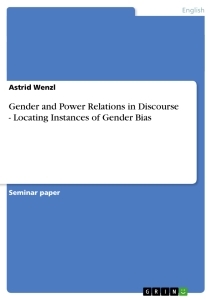 By exploring how gender and power manifest on the individual level to influence self-perception and body image, the hope is that this study may contribute to a more nuanced perspective of relevant issues and appropriate methods for prevention, diagnosis, and treatment. 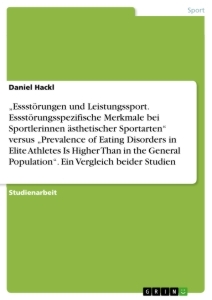 Since the origin of research on eating disorders (ED), there has been a paucity of focus on the occurrence of these disorders among male populations. 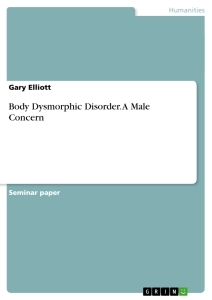 Given that an estimated 25-40% of eating disorder patients are male, (Miller 2009) it is important for both research and practice to develop an understanding of how and why males are affected by these disorders. Exploring how gender dynamics drive behaviors and perceptions related to body image and eating can provide a useful framework for doing so. 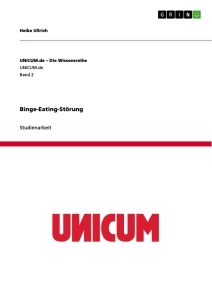 As Susan Bordo has observed, “there is no private domain of a person’s life that is not political and there is no political issue that is not ultimately personal… culture’s grip on the body is a constant, intimate fact of everyday life.” (S. Bordo 2003, 17) The purpose of this paper is to expand on this idea by exploring how theories of gender – including feminism, post-feminism, and masculinity – provide a lens to better understand how social and cultural ideals influence manifestations of eating disorders among males. 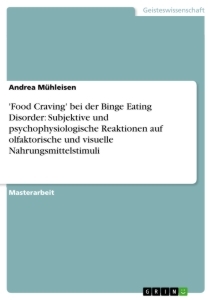 Moving beyond definitions, many studies have explored the influence of various social and cultural influences on disordered eating – primarily among females. For instance, in “Appetite as Voice”, Joan Brumberg explores eating disorders among Victorian upwardly middle class women, who “were repulsed by the implications of food and eating and association with digestion and defecation, as well as sexuality that might counter the incorporated ideal of feminism.” (Brumberg 2008, 150) Writing on more modern manifestations of eating disorders, in 1984 Susan Bordo wrote that eating disorders reflect “the central ills of our culture,” including the historical disdain for the body, a collective fear of loss of control, and the concerning and unrealistic contemporary beauty ideals, and particularly their effects on women. (Bordo 2008, 163) These studies reflect various interpretations of the influence of social as well as gender constructs on behaviors and perceptions surrounding eating disorders. Studies such as these point to some of the unique manifestations and experiences of eating disorders among males and to the need to understand them through a gendered lens.